A great indicator of what is to come for the upcoming cross country season is the performance of the athletes in the spring track season. Paul Dunbar senior, Austin Mathews, comes off of an outdoor season with a state runner up finish in the 1600m and ready to cement his place on top of the cross country standings. He was 3rd in class AAA last November, however he is the top returning finisher in that class. Austin was also the champion of the KYtrackXC 5K Showdown and the runner up in the 2018 Kentucky Dream Mile. He will not be without competition in his won class with Oldham County's Jacob Brizendine in hot pursuit. Austin Mathews reflects on his 2018 Kentucky Dream Mile race. 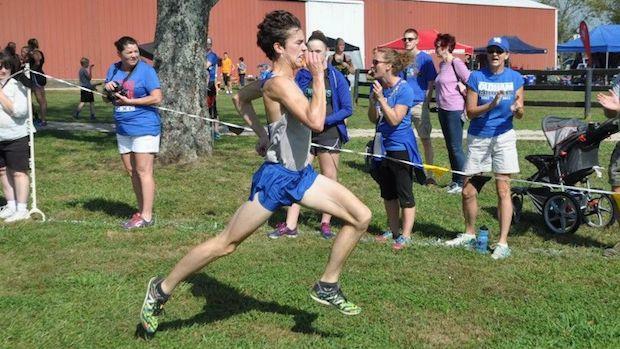 The top class A returner and returning cross country state champ, Keeton Thornsberry is poised and ready for his senior campaign. The Kentucky Gatorade Cross Country Athlete of the Year took home the 1600m class A state title in May and looks to add to his trophy case in November. Let's take a look at each returning 5K runner and their best performances of the outdoor season in the 3200m, 1600m, and 800m.